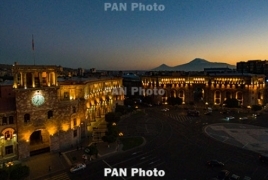 PanARMENIAN.Net - The Armenian capital of Yerevan is hosting the XVII Summit of La Francophonie on October 11-12. Presidents and Prime Ministers of dozens of countries, including French President Emmanuel Macron and Canadian Prime Minister Justin Trudeau, have arrived in Yerevan to participate in the summit. Following the solemn opening ceremony and the official welcome of delegations, the plenary work of the first day of the Organization will start after a lunch hosted by the Secretary General of La Francophonie. During the plenary work on October , Armenia is set to assume chairmanship of OIF, which will be followed by a review of membership applications or status amendments. In the evening, a gala concert is expected on the sidelines of the summit, with famous artists from around the world, such as French singer Zaz, set to perform. The work will continue on October 12.